Jürgen Colin has played in the 2001-02 season on loan from PSV Eindhoven for Belgian champions Racing Genk. 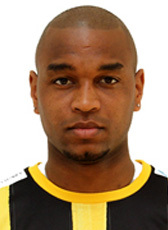 He returned to The Netherlands in the summer of 2002 joining NAC Breda, also on loan from PSV. He was the 2003-04 season also in the PSV selection and was loaned out in August 2004 to NAC Breda again. After 12 years of PSV experience, Colin moved away permanently. He signed for 3 years at the Canaries until 2008. One year before the end of his contract, he was given permission to go on trial at Ajax. After a successful trial, Colin signed a 1-year contract that sealed his return back to the Netherlands. Not in the plans of new Ajax coach Van Basten, Colin decided to look for new fortune abroad. He has signed a 1-year contract until 2009 at Spanish Primera Division club Sporting Gijon. On a free transfer he went on a short trial at RKC Waalwijk and signed a 2-year contract after a successful medical test. Mid-season 2010-11 in his final contract year, he saw his chances in another foreign opportunity and moved to Cyprus to sign a 1,5 year contract until 2012 at Anorthosis. Colin was released from his contract in Cyprus in July 2013. He moved to Israel to sign a new season deal at Hapoel Tel Aviv until June 2014. His stay was extended with another season. In the summer of 2015 Colin moved to Hapoel Ashkelon F.C., another Israelian club. At the end of the season he moved on a free transfer to the Georgian competition. Colin signed for Torpedo Kutaisi for the 2016 season. In January 2017 he was released from his contract and retired for professional football.